Being in the Field Museum of Natural History in Chicago is like stumbling inside Hangar 51 in Indiana Jones - the secret warehouse where they store all the artifacts. The comparison is apt too, as the museum has 21 million specimen in its collection, probably even greater than its fictional equivalent. 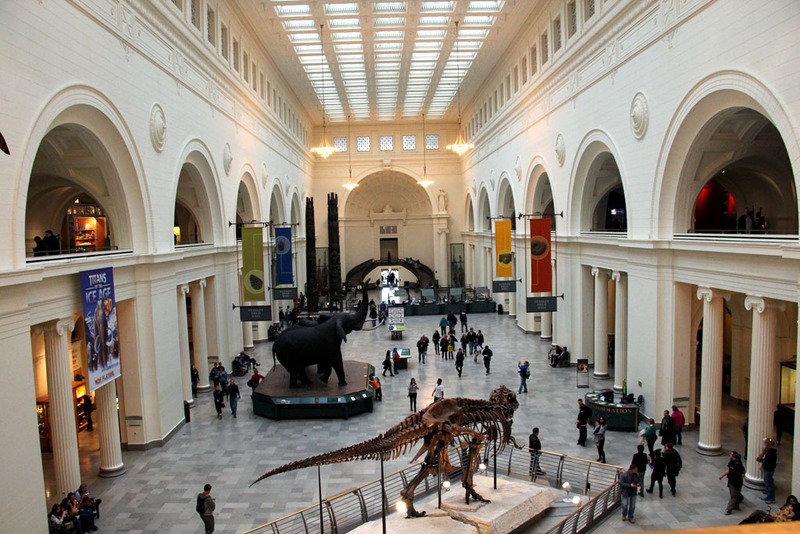 As I was flying in to Chicago I still was not sure which museums to go when I land. 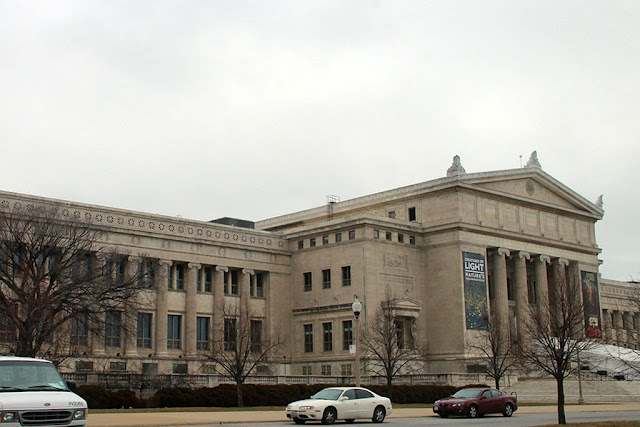 I was deciding between the Museum of Industry and Field Museum, and I was glad that I chose the latter. It is motherlode for a geek like me who dreamt of being somebody like Indiana Jones when I was a kid. The museum has everything that can be possibly dug up from the ground, and grouped in 4 curatorial departments: zoology, anthropology, botany and geology. 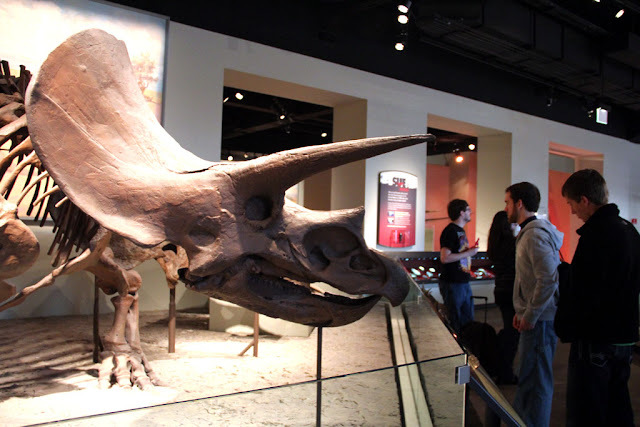 I plan to blog about the individual sections after this overview of the museum. 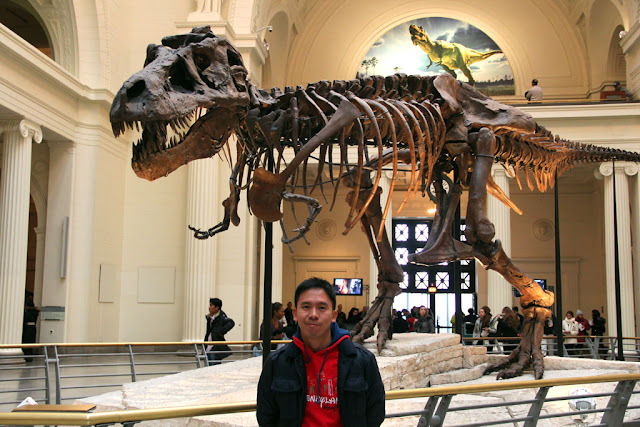 These exhibits encompass everything from dinosaurs and prehistoric monsters, mummies from Egyptian tombs, precious stones and metals, interesting specimen of rocks and minerals, skeletons of Neanderthals, and even several artifacts from ancient Philippines. 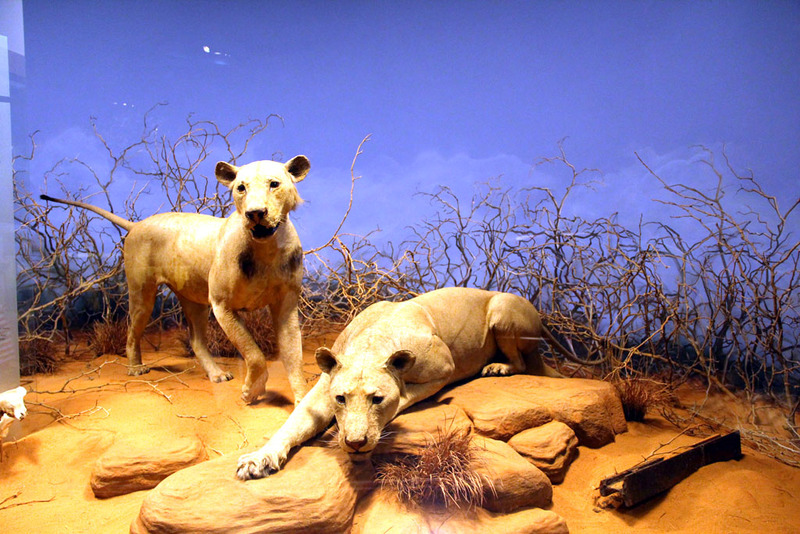 The animals exhibit also featured the preserved specimen of the infamous Tsavo lions. The two male lions terrorized the Tsavo River area in Kenya in the 1890s, killing more than a hundred Kenyan workers from a nearby construction site. The anthropology section is the closest to what Indiana Jones does. The museum has about 1.5 millions anthropological artifacts in its collection, including Mayan and Aztec masks, jewelry, pottery and weapons. 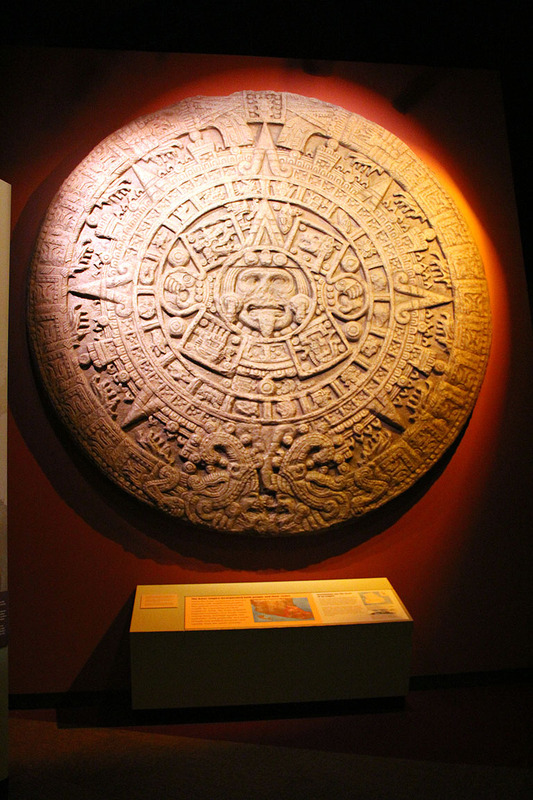 One of the most impressive I've seen is the giant stone disc that served as an Aztec calendar. There is also a section where they recreated an ancient Egyptian burial ground, complete with underground passage ways and crypts with mummies in them. 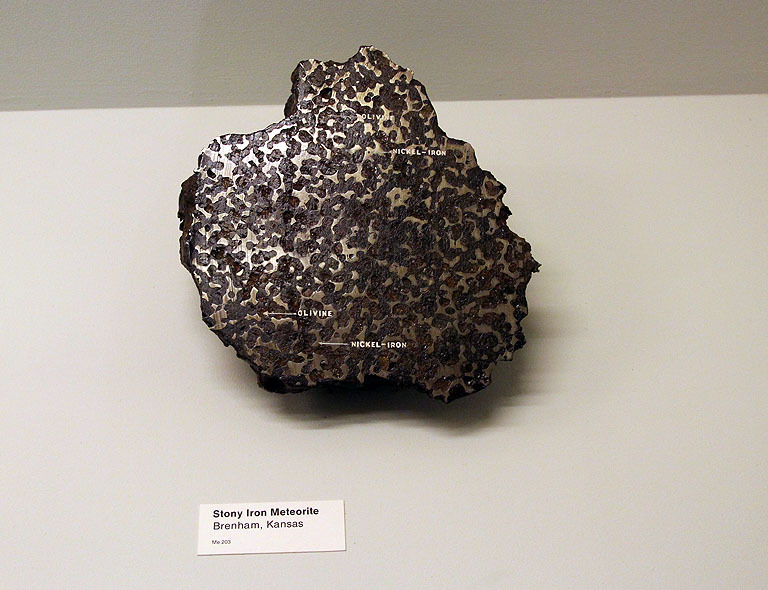 This exhibit also displays steles with Egyptian hieroglyphs, and artifacts that they use in everyday life. 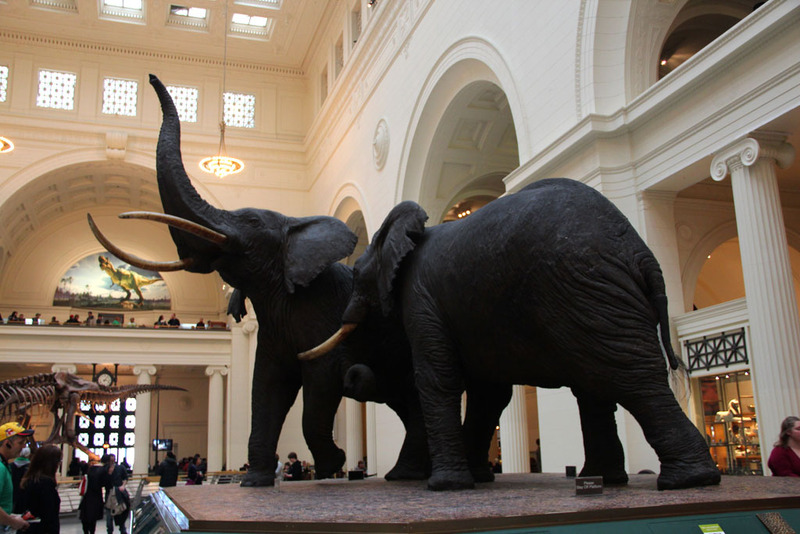 Aside from Egyptian and Mesoamerican cultures, the anthropology section also has displays on North American, Asian, European and African cultures. It also has a section on biological anthropology, which features skulls of hominids and non-human primates. 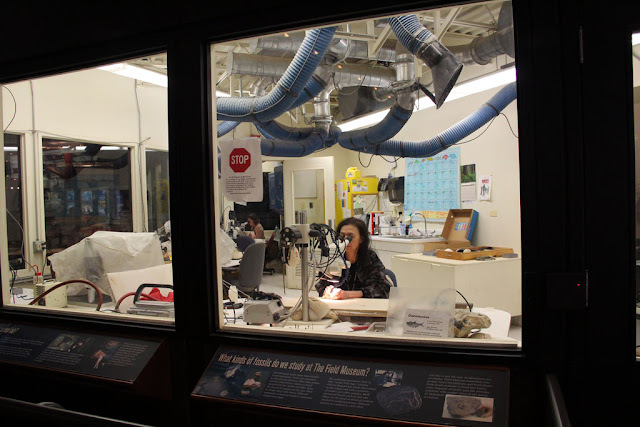 You can observe scientists working on these specimen in the Fossil Prep lab. One of my favorite sections in the museum is the one that displayed geological samples, particularly the one that exhibited meteorites. They even had one that fell on a house and a car, complete with the holes created by the impact. Another fascinating section is the Grainger Hall of Gems, where they display rare precious stones and artifacts made from precious metals. 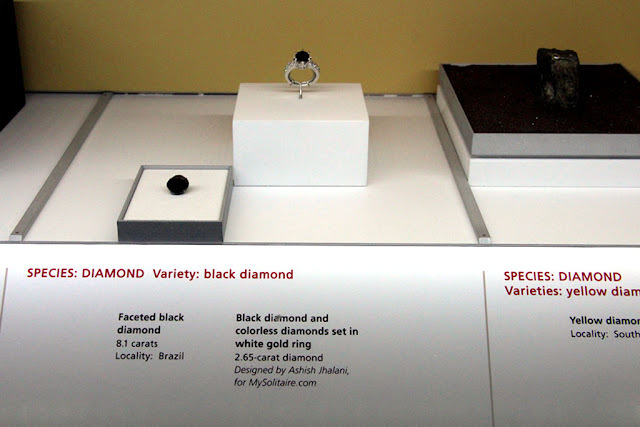 Specimen displayed here include black and yellow diamonds, gems made from Esquel meteorites, amber with prehistoric insects embedded within them, and gold artifacts from the Philippines, like the Golden Tara of Agusan.